Updated: July 9, 2018, 3:49 p.m.
Big guns, big trucks and crazies: Another clip has surfaced from a secret recording of a conversation between Casey Cagle and Clay Tippins. Lt. Gov. Cagle’s campaign for the Republican nomination as governor was stung in June when Tippins, a former primary competitor of Cagle, released several minutes of a conversation between the two men shortly after the May 22 primary. In the recording, Cagle explains how he pushed what he thought was a “bad” bill to sink the potential gubernatorial candidacy of Hunter Hill, then a state senator. Cagle is now in a runoff with Brian Kemp, who came in second May 22. Now, fears among the Cagle camp that more audio would be released have been confirmed. Another recording dropped on Monday, July 9, but with a significant difference: This recording was released by Brian Kemp’s campaign. 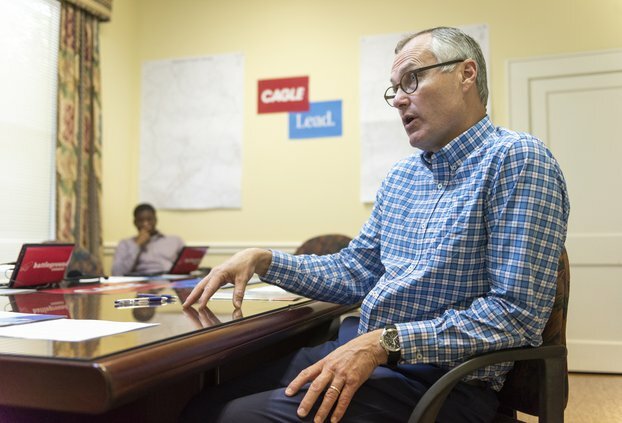 Cagle’s opponents were quick to paint him as a corrupt, calculating politician when the first recording was released (almost exactly one month before the second recording), and the conversation released Monday is likely to fan those flames. But now it’s Secretary of State Kemp doing the fanning. His challenge to the lieutenant governor was buoyed by the damage to Cagle’s campaign by the recording. Multiple polls suggest the two men are running neck-and-neck in the final weeks of the runoff. While the Kemp campaign was content to sit back and let headlines do the work of spreading the word of Cagle’s recording — the first audio clip was given to The Atlanta Journal-Constitution by Tippins — the Kemp campaign now owns the recordings as an issue, and a weapon, against Cagle. And the Cagle campaign is firing back, calling the new recording a “dirty trick” from Kemp. In his response, Binkley accused Kemp of “pointing guns at kids,” referencing Kemp’s controversial campaign ad featuring “Jake.” Binkley also said the full context of Cagle’s remarks exonerated the lieutenant governor. Brian Robinson, a communication consultant with the Cagle campaign, summed up the defense on Twitter. He also called for Kemp’s campaign to release the full transcript — the second recording was only 50 seconds, while the first recording published by the AJC lasted almost eight minutes — saying it would show he wasn’t mocking primary voters. Kemp spokesman Ryan Mahoney told The Times on Monday that the campaign would “continue to create the contrast and release important information in the home stretch” when asked whether more recordings were coming and whether the Kemp campaign had the full audio from Tippins. “Cagle should be prepared to give multiple apologies to Georgia voters,” Mahoney said.